The secret to any good dessert is undoubtedly in the liberal application of sugar, fat and alcohol. 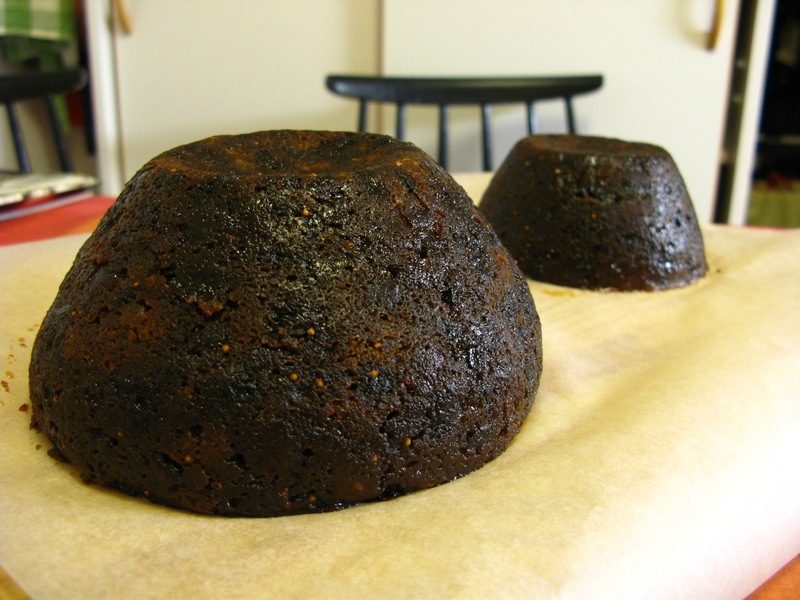 So for the first time ever, I have attempted to honour my half-English heritage by making a Real Christmas Pudding! With the help of a copy of Taste Britain (which my wife was kind enough to bring home one day) I managed to end up with quite a satisfactory-looking pair.